Converseen is an open source project written in C++ with the powerful Qt4 libraries. 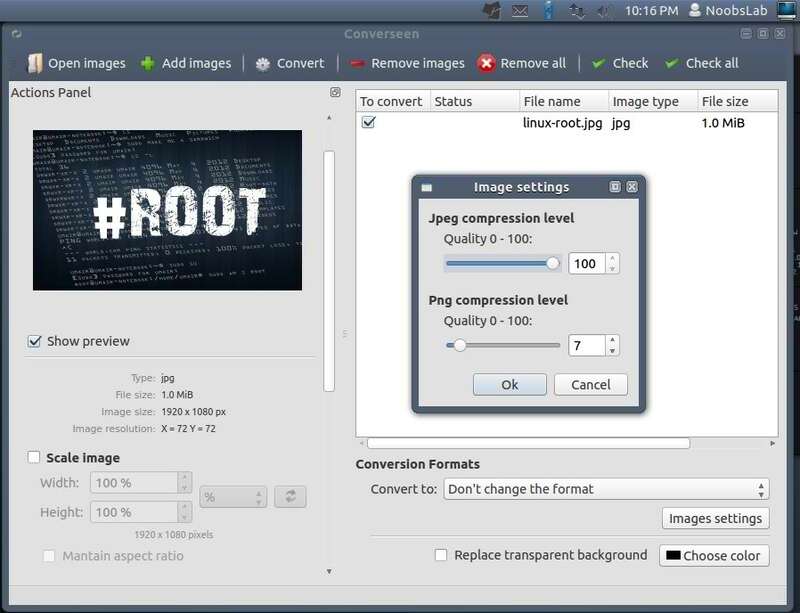 Converseen is a free software system for Linux and Windows that allows you to convert, compress and resize single or multiple images at a time in a simple, effective and above all automatic and painless. Think for example of having to convert or resize a folder of images. Converseen, with a simple click, you can convert on the fly all the pictures you want to process. Magick++ image libraries it supports more than 100 image formats. You can convert and resize an unlimited number of images to any of the most popular formats: DPX, EXR, GIF, JPEG, JPEG-2000, PDF, PhotoCD, PNG, Postscript, SVG, and TIFF. With Converseen you can save your time because it allows you to process more than one image with one mouse click! 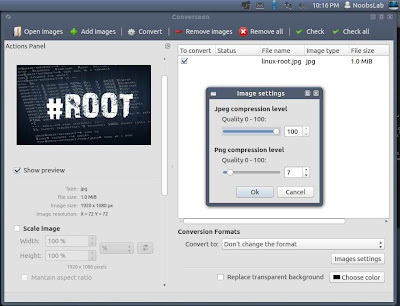 No Comment to " Converseen Image Converter for Fedora/Arch Linux "